Match the sleek look of your Mustang with UPR Products 3.5" Solid Billet Shorty Antenna for your 2010-2014 Ford Mustang. Replacing the stock plastic antenna will give your car a much cleaner look. Our new "Black Chrome" powder-coated finish will not crack or fade over time. Manufactured from Stainless Steel and 6061 Billet Aluminum. 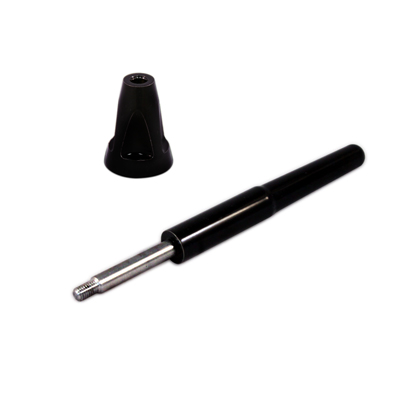 This antenna fits better than an OEM part, while giving you the sleek aftermarket look. This unit will not scratch or change in any weather. Installs in 2 minutes or less. 2010 2011 2012 2013 2014 V8 V6 GT GT500 Shelby Mustang Roush & Saleen Vehicles.